The field of diabetes is having its moment in the sun, as the American Diabetes Association 78th scientific sessions congress is currently taking place in Orlando, Florida. One key battleground in the sector is between GLP-1 drugs, with Lilly’s Trulicity looking to challenge Novo Nordisk’s market leader Victoza – but Novo is sweeping all before it with some compelling data from a series of head-to-head trials of it next-generation treatment semaglutide. The drug is already approved as Ozempic as a weekly injectable, but trials of its oral version are causing the most interest. In May, Ozempic showed its superiority in a head-to-head with Trulicty on lowering blood sugar, and now new data from the SUSTAIN 7 trial shows it also outperformed its rival in weight loss as well. This follows data released ahead of the congress which showed the as-yet-unapproved oral semaglutide outperformed market leading oral treatment, Merck & Co’s Januvia, as well as Novo's own injectable Victoza. Oral semaglutide also outperformed Boehringer Ingelheim and Lilly’s Jardiance pill in the head-to-head PIONEER 2 study. By beating all-comers, it looks likely to be a future market leader, with Novo anticipating a 2019 filing for the drug. The chair of the House of Commons’ health committee Sarah Woollaston MP has just released correspondence laying bare the frustration felt by cystic fibrosis (CF) campaigners. Budget holder NHS England and Vertex are currently locked in a dispute about price and market access for Orkambi, a combination drug treatment which can offer major benefits for some CF patients. Vertex has accused NHS England of being unwilling to negotiate, while NHS England and government ministers say the company must further lower its price for the drug. Correspondence published by Sarah Woollaston shows the CF Trust is critical of both sides. The charity believes the CF patient registries which it has helped set up offer a real world evidence route which would demonstrate the benefits of the treatment and allow an outcomes-based pricing model. Both sides have in reality been willing to look at new approaches, but price looks to be the biggest sticking point at the moment. 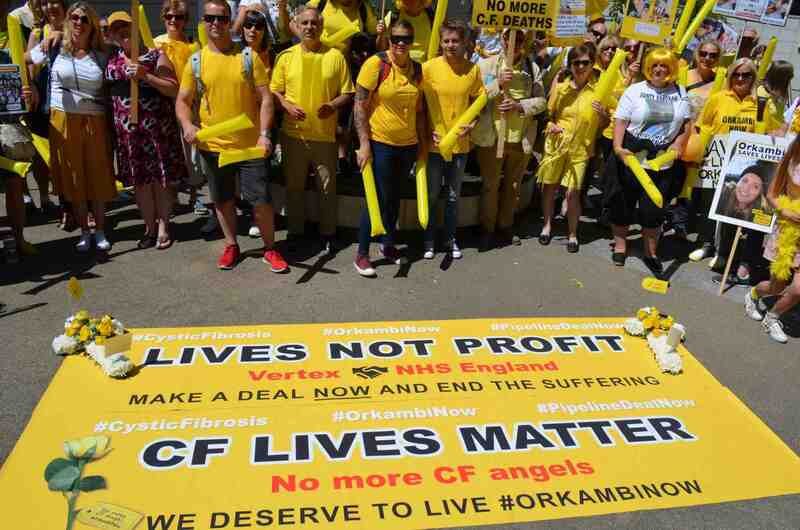 A group called #OrkambiNow (distinct from the CF Trust) organised a large protest in London on Friday, demanding that NHS England and Vertex thrash out a deal when they next meet on 4 July. Read the correspondence between Sarah Woollaston, The CF Trust and Health Secretary Jeremy Hunt here. NodThera, a biotech company focused on the discovery and development of new treatments for chronic inflammation diseases has raised £28 million ($40 million) in a Series A financing. The Cambridge, UK-based start-up is looking to exploit its expertise in NLRP3 inflammasome inhibitors, exploiting new understanding of the role of inflammation in many diseases. “Selective NLRP3 inflammasome inhibition represents one of the most exciting and promising approaches to treating diseases caused by chronic inflammation,” said Alan Watt, Chief Scientific Officer and acting Chief Executive Officer, pictured. The NLRP3 inflammasome is a multi-protein complex which initiates an innate immune response in the body, and is a mechanism which has been identified many years ago, but not successfully targeted so far. The company says its novel platform could bring new treatment options to patients in areas of unmet need in chronic inflammation, including neurodegenerative diseases such as diabetes, NASH, osteoarthritis, cancer and Alzheimer's Disease. 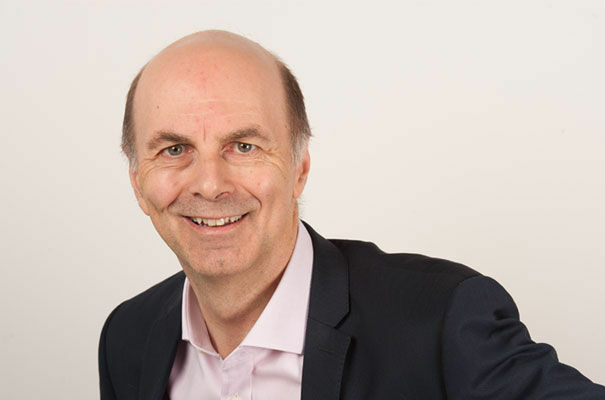 Alan Watt has been in drug research for more than 30 years, having worked for Merck & Co, GSK and biotech, Cellzome, Trident Biopharma and Bicycle Therapeutics before setting up NodThera. The fundraising was co-led by leading healthcare investors Sofinnova Partners and 5AM Ventures, with Epidarex Capital and F-Prime Capital Partners also taking part.